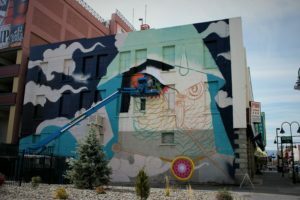 Take a stroll through downtown and midtown Reno and you’re sure to stumble upon the many murals that grace this city’s walls. 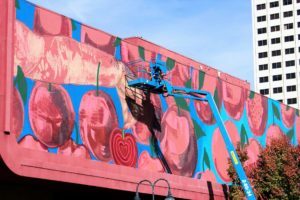 With over 20,000 square feet of murals in Reno, these stunning expositions of art have even more dynamic artist behind them. 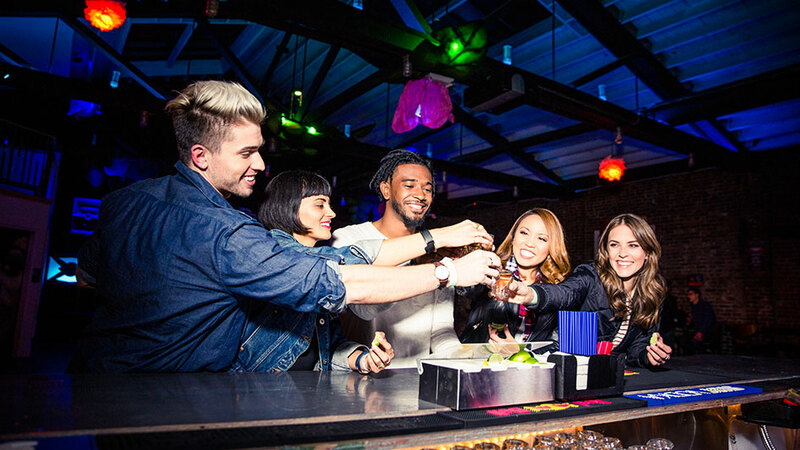 Meet the local, national, and global artists that have transformed this city! Ricky is a self-taught artist born in Johannesburg South Africa in 1984. Having lived and worked in Cape Town he moved to LA in 2016 to study classical painting. 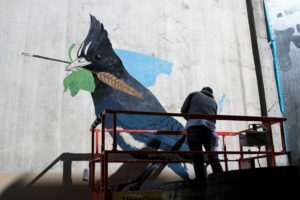 He is well known for his large-scale murals that can be seen in cities all over the world, from New York to Istanbul and Madagascar to Kathmandu. Ricky has been inspired by his experience in mediation and Buddhist Dharma (law of nature) and therefore now his paintings explore the nature of non-duality and interconnectedness, focusing on bringing to light relevant social issues. 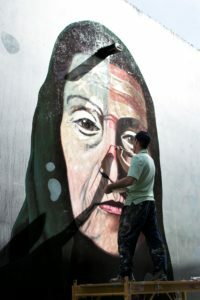 His intention with his murals is to create artwork that has a connection to the people and place in which he is painting. Ricky only started painting full time in 2014 having his first solo show in 2015. Before this he was focused on curatorial and creative activism; founding /A WORD OF ART gallery and artist residency in addition to the Colour Ikamva school rejuvenation project. Chip Thomas started working in a small community between the Grand Canyon and Monument Valley called Inscription House in 1987. He was always drawn to photography and built a darkroom shortly after his arrival on the Navajo Nation. Chip’s passion photographically is shooting black and white in a documentary style inspired by people like Eugene Smith, Eugene Richards, Joseph Koudelka and others. He’s always been drawn to street art, graffiti and old school hip-hop. Chip was attracted to the energy of the culture in the 80s and though miles away from the epicenter, he thought of myself as a charter member of the Zulu Nation. 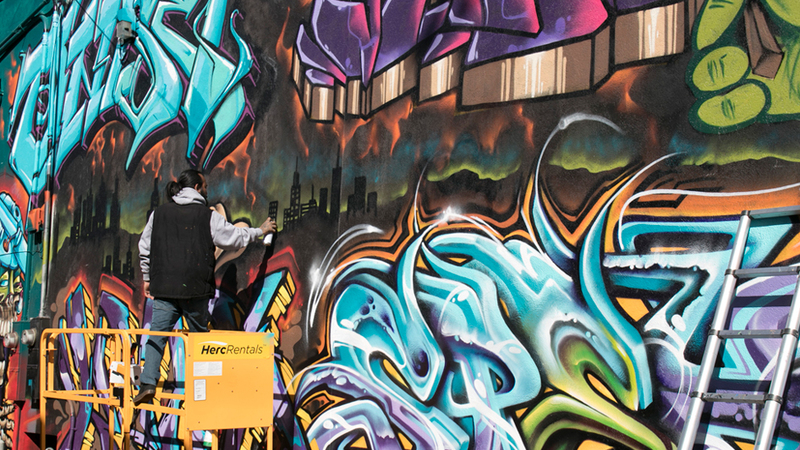 Chip would travel to New York City to see graffiti on trains, on buildings and in galleries. He did some tagging in the 80s before coming to the Navajo Nation and participated with a major billboard “correction” on the reservation shortly after his arrival. Born and raised in Los Angeles, currently based in Oakland, Dave Young Kim attended the University of California, Davis before earning an MFA at Mills College. Being of Korean decent he draws from cultural history, family stories and personal experiences in depicting images of identity. In his contextualized works, he uses the specific to talk about universal ideas of the human condition. Ultimately his work is premised on the idea that we are all looking for a place to call home. 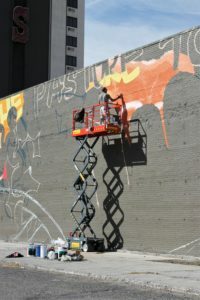 His work can be found internationally including in Norway, Korea, Mexico, and in various cities in the United States. 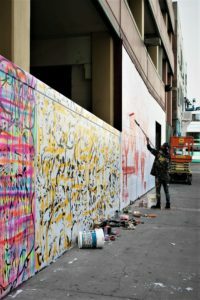 Painter, lover, poet, and dream chaser at Global Street Artist. Fallen Rose is an ambidextrous painter based in Wynwood, Florida. signing also under Lefty when using his left hand. First gaining his notoriety in the group 2Square before going solo. His murals can be found on walls around the globe, in magazines, newspapers, and books. You can follow some of his exploits on his reality TV show the Dukes of 2Square. 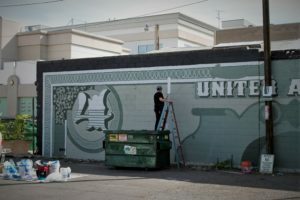 Erik Burke lives in Reno and creates place-specific murals throughout the world. His latest work can be seen in Korea, Italy, Norway and closer to home in Reno. 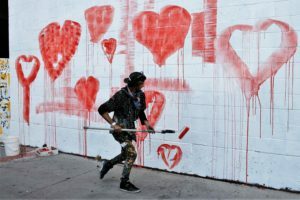 His work has been published in the book ‘Street Art; The Best Urban Art from Around the World,’ ‘Outdoor Gallery,’ The Huffington Post, Village Voice and the New York Times. He enjoys time with his family and living where there are NO mosquitos. Joe C. Rock is a fine art muralist with an emphasis on street art, graffiti, cartooning and realism combining them all to create extraordinary works of art. He came with his mother to Reno when he was 8 years old. He always enjoyed drawing but didn’t begin to feel the pull of the artist’s life until his late teens. His beginnings were primarily illegal graffiti lettering with his older cousin and friends. 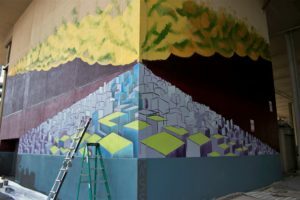 Rock is now one of Reno’s premier muralists. Asa Kennedy, born on the outskirts of Santa Fe, New Mexico, attended a private Liberal Arts college in Portland, Oregon with the focus of acquiring a degree in fine arts. Two semesters was plenty of time to understand that this bill could not be paid. He remained in Portland for nine years continuing to hone a painting craft. 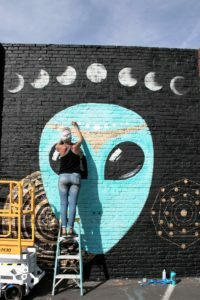 Asa was a member of the Portland Mural Defense, a group dedicated to rewriting zoning laws in partnership with the city of Portland to allow mural painting more accessibility. 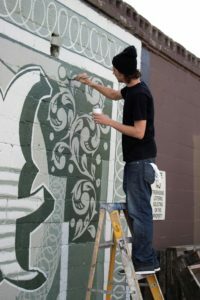 Along with maintaining a studio painting practice, he is a mural artist with a vested interest in public works. Outside Walls become a gallery which reaches a larger audience and more importantly, belongs to the community. Asa believes mural painting always activates dialogue, fosters new relationships, and literally changes the urban landscape. The latter bringing inspiration to neighborhoods under social duress where residents can witness a physical change that leaves a positive landmark. Jamie Darragh is a 23-year-old self-taught artist. Proud native Nevadan, born and raised in Northern Nevada. She is new to the artist lifestyle and has only been publicly sharing her art for a little over a year. 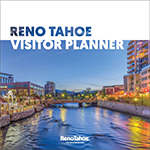 She is passionate about her community, and truly loves Reno and all of the hidden talent within its city limits. She loves painting, woodworking, and trying new techniques and believes that art is the best way to bring people together. Jamie is very excited to be part of such an amazing community of artists and cannot wait to use these experiences to grow as an artist and person. 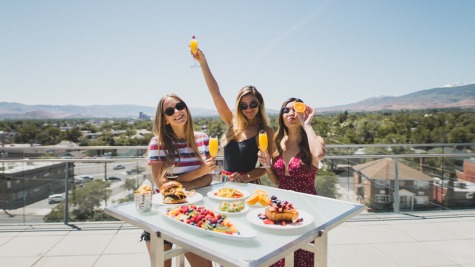 In her free time, you can find her enjoying the simple things, playing with her dog, and spending time with her awesome family and super rad friends. A native of Alicante (Spain), artist Rafael Blanco has focused, during the past years, on critical subjects like illegal immigration and American patriotism. Identity and human expression are relentlessly present in his pieces, which tend to question the nature of our society. Blanco earned his MFA (Masters of Fine Arts) at the University of Nevada, Reno where he became associated faculty. Since 2014, Blanco became the Art program Coordinator at Feather River College, where he currently teaches diverse Studio and Art History courses. Even though he was classically trained as a studio artist, Public Art has become, in recent years, one of the main focuses in his creative process. 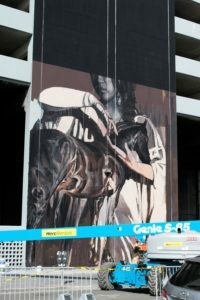 The challenge of creating massive scale paintings in public spaces motivates him to experiment with his classical training mixed with street art. Ryan Fassbender was born in Taos, NM but grew up in Minneapolis, MN and Arcata, CA. He has lived in the Reno-Tahoe area for the last fourteen years doing house painting and sign painting. Ryan creates his artwork using spray paint, traditional brushes and airbrushing. Anthony Ortega is a local artist born and raised in Reno, Nevada who has been painting his whole life. 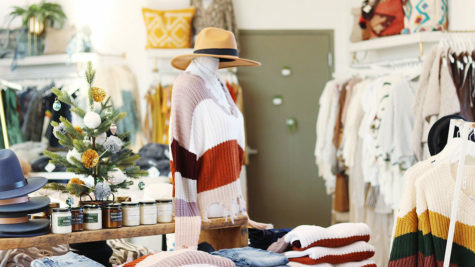 His style is usually along the lines of psychedelic and spiritual. Anthony paints with mostly acrylic and spray paint but versatile with all other mediums. He also does tattoos for a living and owns a private studio called EQ LD Creations in downtown Reno. 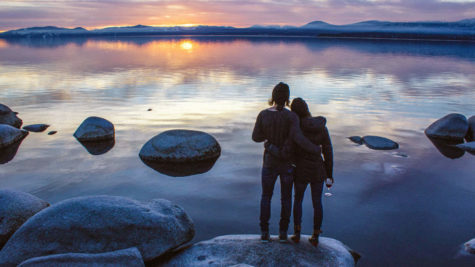 These artists including many more have transformed Reno Tahoe’s arts and culture scene. 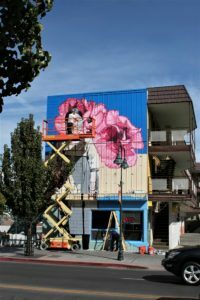 Click here to find a complete listing of the artists from the Reno Mural Expo 2017.